Awakening the Ecstatic Body is an exploration of the healing, vitalizing and creative force which often lays dormant within this beautiful and elegant vessel which this human life has gifted us. Ecstasy is alive, pulsing and waiting to be discovered and manifested as our truest personal expression. There is no greater tonic to the human spirit then when sexual energy is connected to the heart! Taoist Sexual Practices and Tantra are both founded in the understanding that the body is a sacred vessel- a vessel we use to experience ourselves as complete and eventually integrated beings. Taoist self- cultivation techniques include various physical and energetic practices, which purify and heal past traumas at the individual level. Tantric rituals and meditations nourish and cultivate the relationship with self, the other and world as the path toward wholeness and unity with the divine. In an atmosphere of openness and warmth we work with the feminine and masculine polarities cherished by both Taoist and Tantric traditions. Come and explore Sacred Sexuality in a playful, safe and joyous environment. All are welcome regardless of prior experience, sexual orientation, age or any other designation. Go to www.oshoafroz.com for more information. Are you longing to experience a more subtle and integrated sense of self? Are you interested in a uniquely transformative experience in movement? The terms Yin and Yang are one way the ancient Chinese sought to describe the dynamic and ever-changing experience of being human in the context of our natural world. Yin and yang feed each other, define each other and complete each other. The energies of yin and yang are present in each of us. In this 3- hour event participants will learn how yin and yang contribute to their perceptions of self with regard to masculine and feminine traits, authentic and ecstatic self-expression as well as one’s awareness of shadow, stillness and silence. Participants will also have the opportunity to check how this new self-awareness functions in relationship through interactions in partner and group work. Significant transformations take place as participants find the courage to dance through deeply held barriers toward a total and integrated self-expression. In the light of this new expression they learn to embody and spiritualize their experience in the world through movement. No dance experience is required, it is open to all! The Qi Dance experience is the ideal pre-requisite to our Tao & Tantra weekend workshop ‘On the Path of Sacred Sexuality’, which will take place August 11th through 13th in Hood River, OR. Book by July 13th for Early Bird pricing. 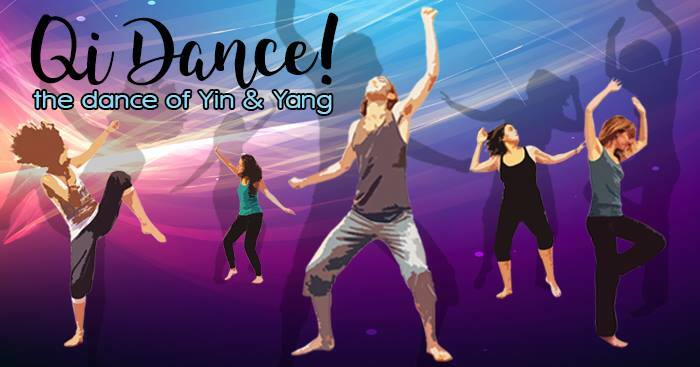 The Qi Dance experience is the ideal pre-requisite to our Tao & Tantra weekend workshop ‘On the Path of Sacred Sexuality, which will take place August 11th through 13th in Hood River, OR. The Qi Dance experience is the ideal pre-requisite to our Tao & Tantra weekend workshop ‘On the Path of Sacred Sexuality, which will take place August 11th through 13th. Please confirm your attendance by 7/28. Call Cherylyn at 503-309-6232 for more information. The session typically starts with a short set of archetypal qigong movements. Participants use these archetypes to attune themselves to achieve a deep sense of centeredness. To this authentic experience of oneself we incorporate carefully selected music. With gentle and attentive guidance participants begin to work with a transpersonal theme. The combination of qigong, inspirational music, gentle instruction and the theme forms a container within which participants safely explore themselves and their relationship with others. At this time in the flowering of human consciousness there is a great need to connect with and to heed the call of abundance that flows through all of nature. Whether we observe the opening of a blossom in springtime or enjoy a relaxing meal with a close friend we must recognize these gifts of abundance with a grateful heart. Nature needs to give to us but are we open to receive? 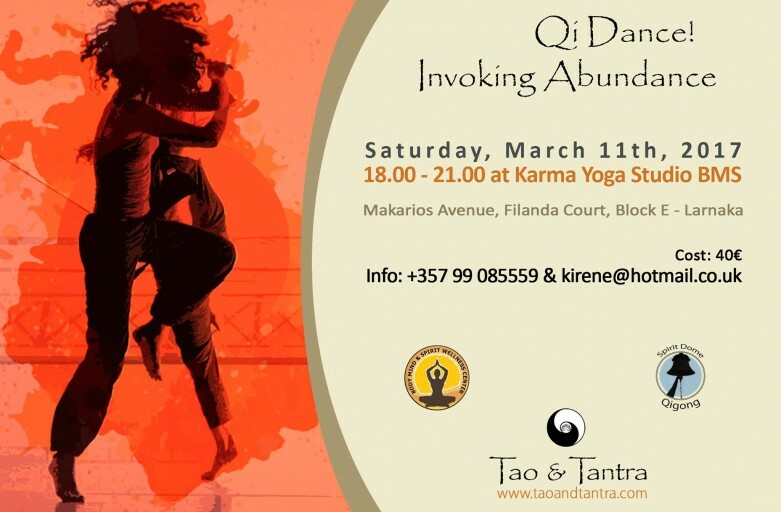 In this event participants will have the opportunity to identify ways in which they block the natural flow of abundance and techniques for ‘attuning’ the physical body to the natural cycles of receiving and giving. 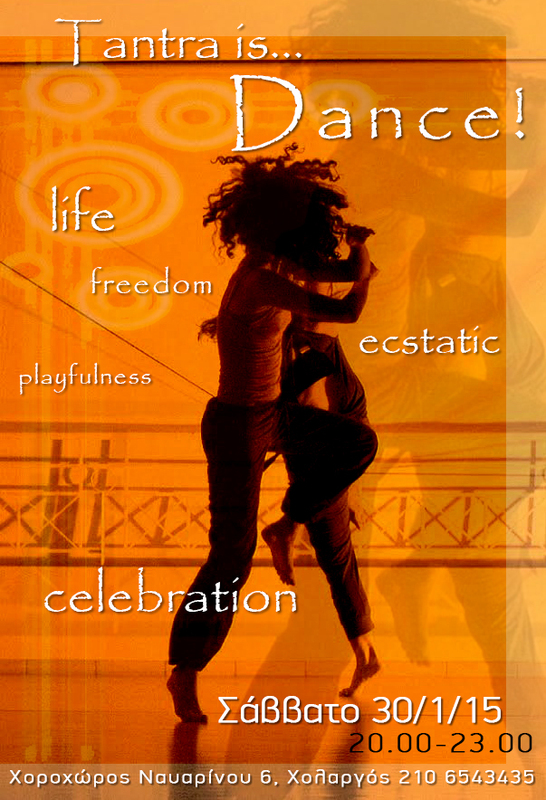 And since abundance is attracted by energy, vitality, expression and movement, you can be sure we will Dance! This event is open to all (men and women) regardless of level of experience, age or physical ability. We are excited to announce the first Carnaval Bash, Saturday February 18th! What is Carnaval?!! In times past various cultures around the world celebrated the annual the rite of passage from winter into spring- from darkness to light- through ritual. This ritual traditionally combined food, dancing and ‘social reversal’ – where norms about appropriate behavior and roles are temporarily suspended. Costumes!!! Come dressed as anything you like. 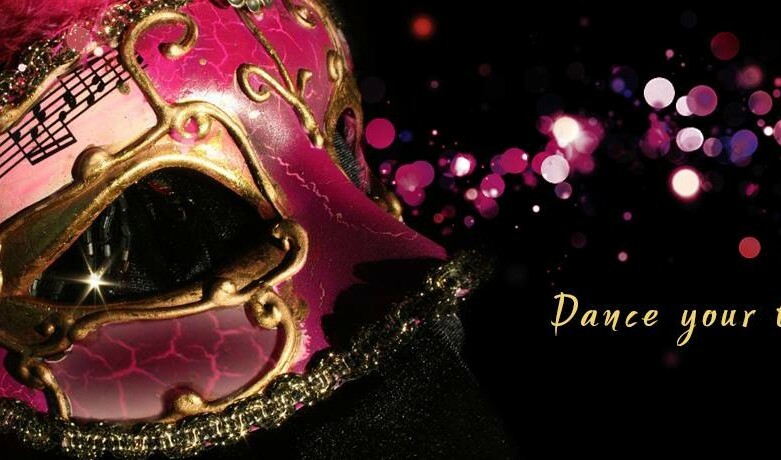 This is a chance to “disguise” yourself behind the mask of someone or something you always wanted to be…..and never dared- a secret fantasy, a part of yourself that needed a place, a time to- express yourself! Carnaval also was meant as a celebration of the abundance and bounty of life expected in the coming spring. We choose to celebrate this abundance with a modern approach… a Raffle! A Raffle means prizes! You will be able to win free sessions, classes, food products and much more! Stay tuned here as we display the list of prizes. Funky, alternative, popular and of course dance tunes will be provided by Atithi and DJ Marios! What could be more abundant than 3 hours of music, dancing, snacks, costumes and a chance to win valuable prizes all for a 5 euro entry fee?! It is time to get together to celebrate this bounteous life we share with friends new and old! Dance your fantasy! Bring friends! Win prizes! What is Carnaval?!! In times past various cultures around the world celebrated the annual rite of passage from winter into spring- from darkness to light- through ritual. This ritual traditionally combined food, dancing and ‘social reversal’ – where norms about appropriate behavior and roles are temporarily suspended. Costumes!!! What could be more abundant than 3 hours of music, dancing, costumes and a chance to win valuable prizes all for a 5 euro entry fee?! 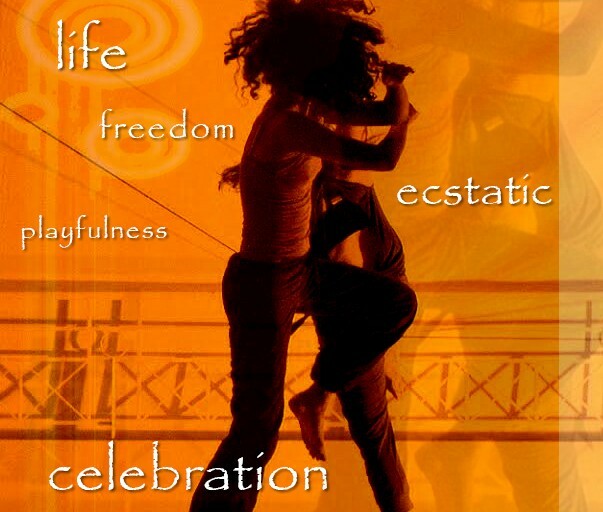 Let’s party in a different way…..No alcohol, no smoke, just our bodies moving, expressing and raising energy in the purity of totally authentic movement. We will dance all together or by ourselves, whatever is true in the moment! dancing gives a natural high. dancing help us connect with ourselves and with others. dancing is a natural way of releasing the tensions and stressors of life. spread the love and make you want to move! Join us in an absolutely refreshing way of being in your body! 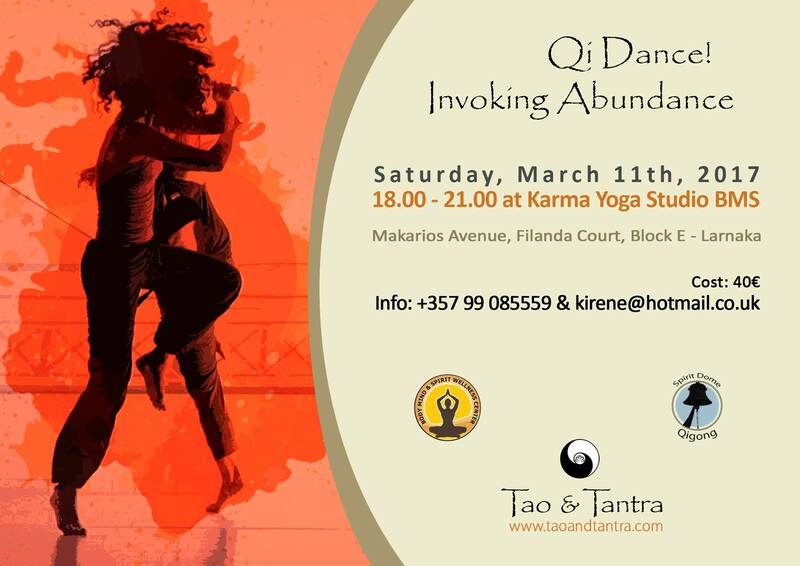 Join us to find out more about what we will be doing in the coming months to demonstrate the vastness that is Tantra. Bring a pair of socks, a bottle of water and the desire to LET GO! Bring your friends and be sure to reserve your place as spaces are limited. We look forward to celebrating life with all of you! Copyright © 2019 Tao and Tantra. Theme: Himalayas by ThemeGrill. Powered by WordPress. Composed by: Athanasios.